January 3, 2017 – Ceramic matrix composite (CMC) materials are made of coated ceramic fibers surrounded by a ceramic matrix. They are tough, lightweight and capable of withstanding temperatures 300–400 degrees F hotter than metal alloys can endure. 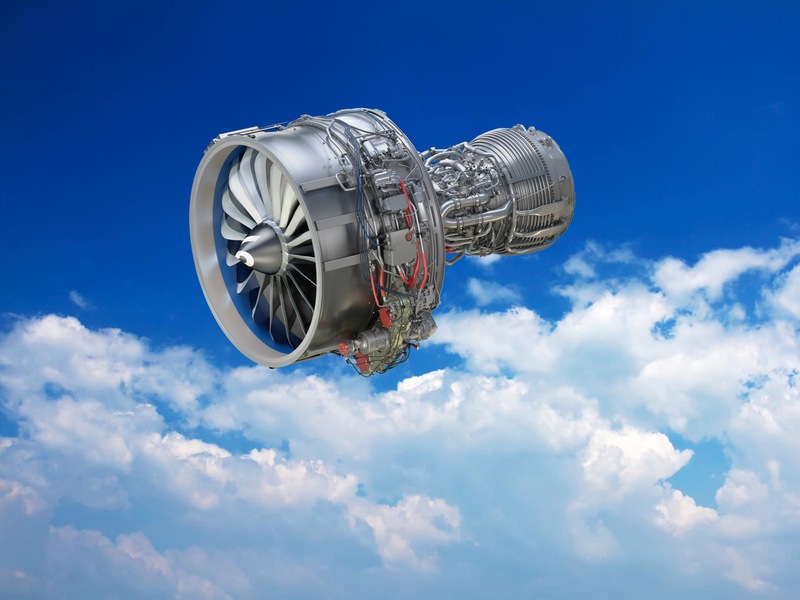 If certain components were made with CMCs instead of metal alloys, the turbine engines of aircraft and power plants could operate more efficiently at higher temperatures, combusting fuel more completely and emitting fewer pollutants. 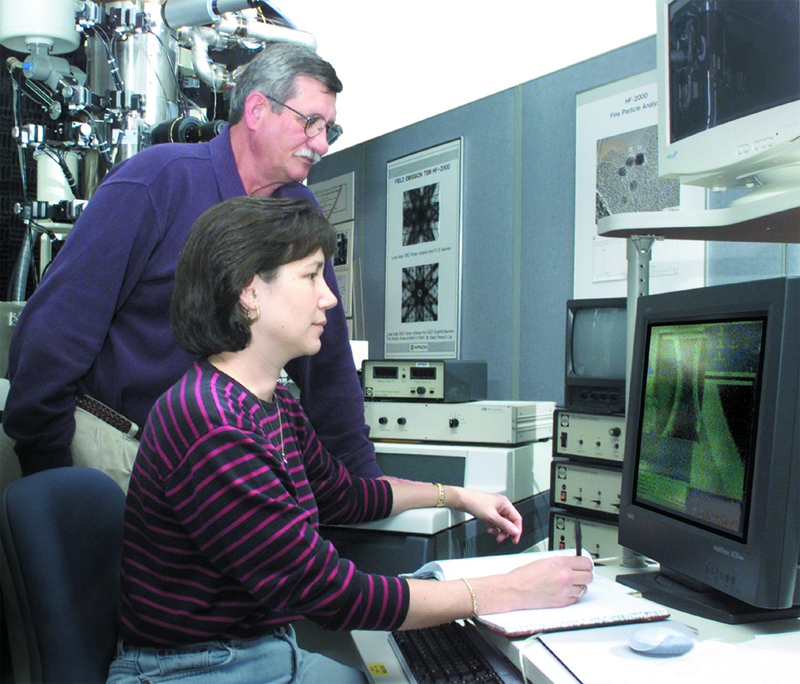 A quarter-century ago, the U.S. Department of Energy began a program, led by DOE’s Oak Ridge National Laboratory, to support U.S. development of CMC materials. In 2016, LEAP, a new aircraft engine, became the first widely deployed CMC-containing product. CFM International, a 50/50 joint venture of Safran and GE, manufactures LEAP. 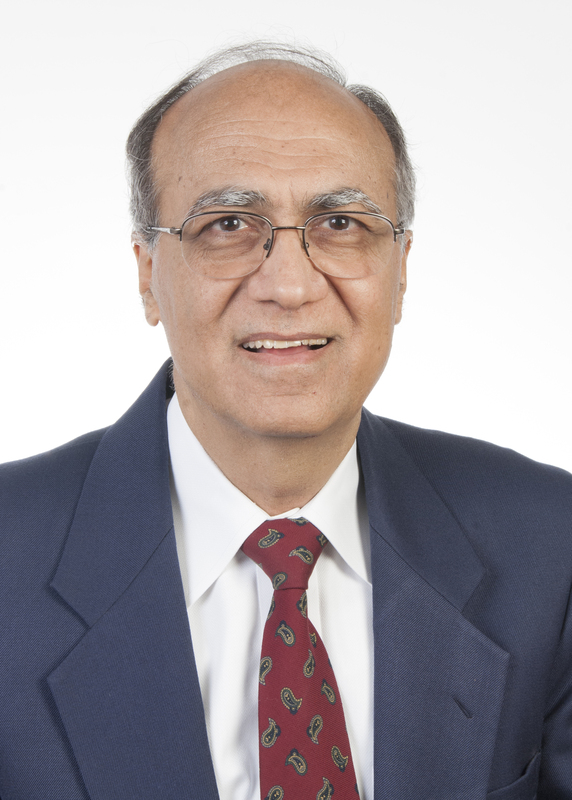 “The materials developed in the DOE program became the foundation for the material now going into aircraft engines,” said Krishan Luthra, who led GE Global Research’s development of CMCs for 25 years. 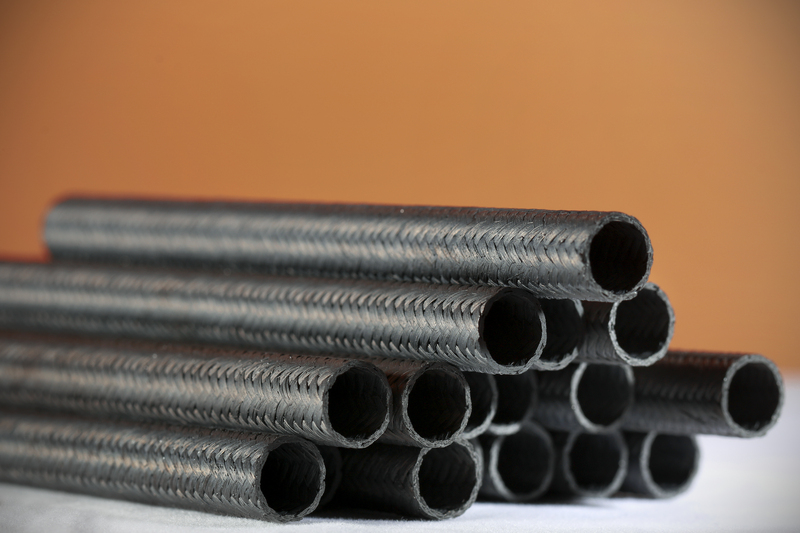 GE’s CMC is made of silicon carbide (SiC) ceramic fibers (containing silicon and carbon in equal amounts) coated with a proprietary material containing boron nitride. The coated fibers are shaped into a “preform” that is embedded in SiC containing 10–15 percent silicon. ORNL’s Rick Lowden did foundational work in the 1980s that paved the way for DOE programs. The key was coating the ceramic fibers. 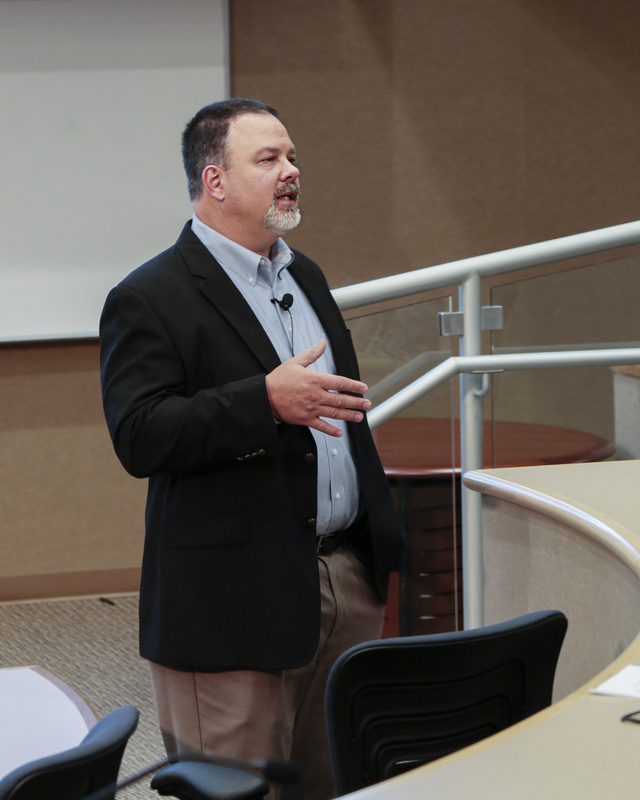 “A ceramic matrix composite is different than almost all other composites because the matrix is ceramic and the fiber is ceramic,” Lowden said. Typically, combining two brittle materials yields a brittle material, he said. But altering the bond between fiber and matrix allows the material to act more like a piece of wood. Cracks don’t propagate into the fibers from the matrix around them. The fibers hold the material together and carry the load while slowly pulling from the matrix, adding toughness. DOE’s Continuous Fiber Ceramic Composite (CFCC) program ran from 1992 to 2002 and supported industrial development of CMCs by AlliedSignal, Alzeta, Amercom, Babcock and Wilcox, Dow Chemical, Dow Corning, DuPont-Lanxide Composites, GE and Textron. Its budget averaged $10 million per year, and industry shared costs. CFCC funded companies to make composites and national labs and universities to characterize the properties of the materials. Efforts were coordinated and funded through ORNL. 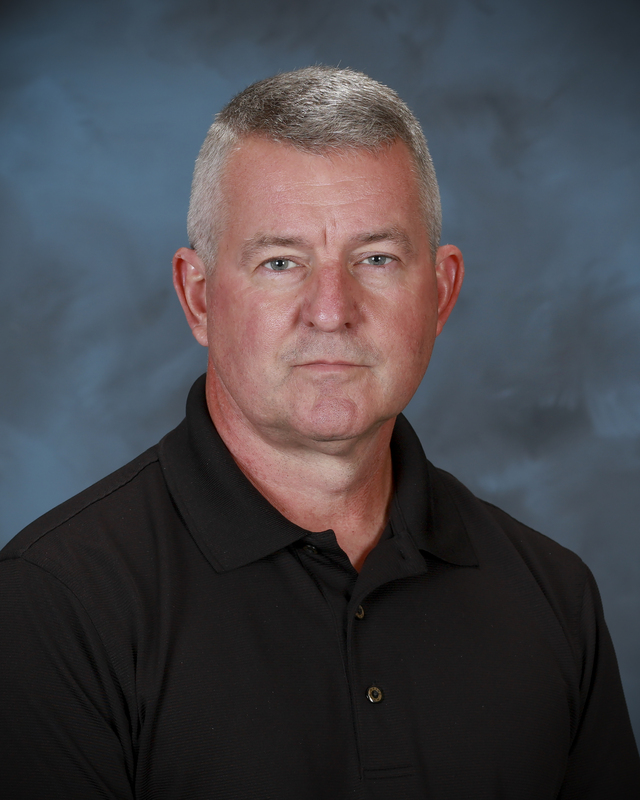 Lowden wrote the program plan with Scott Richland of DOE and Mike Karnitz of ORNL and co-led support to companies with ORNL’s Karren More, Pete Tortorelli and Edgar Lara-Curzio and Argonne National Laboratory’s Bill Ellingson. The U.S. Advanced Ceramics Association represented industry in informing Congress of the benefits of CMCs. GE’s CFCC project was to develop CMCs for industrial gas turbine engines that produce electricity. (GE manufactures both power and propulsion turbines.) A follow-on DOE program ran through 2005 and funded the most promising CFCC companies to further develop materials and components and if possible, test them in applications. Total funding was approximately $15 million, with industry cost-sharing approaching 50 percent. GE field-tested a CMC shroud in a 170-megawatt industrial gas turbine under the program. All told, GE invested $1.5 billion after that to commercialize the technology. Long before ceramic fibers reinforced ceramic composites, ORNL researchers coated nuclear fuel with carbon and SiC to confine radioactivity inside tristructural-isotropic (TRISO) fuel particles. During experiments in the ‘70s, ORNL’s Jack Lackey realized the process could be modified to manufacture ceramic composites more rapidly. 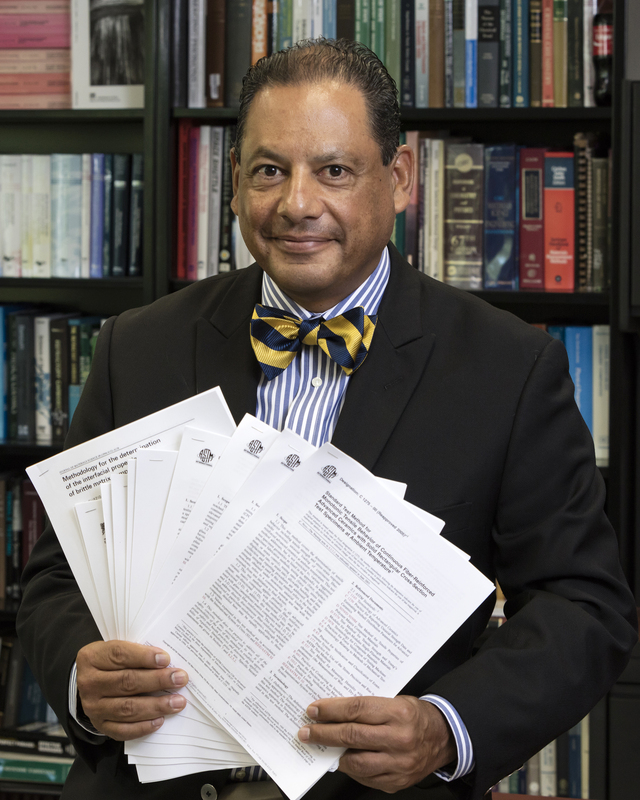 With support from DOE’s Fossil Energy Materials Program, his group pioneered a process to do just that. “You take a fibrous preform, place it in a furnace, and vapor-deposit solids on and around the fibers,” explained Lowden, who was Lackey’s technician. To coat the whole object uniformly, the deposition process must be extremely slow—a half-inch part might take six months to process. However, the ORNL team found that placing a fibrous mat on a cold plate, heating the top and forcing gases through the mat sped the process from months to hours. “That’s where we got involved in ceramic matrix composites,” Lowden said. ORNL supplied CMCs for years to researchers evaluating CMCs for various applications. Since CFCC, GE has tested CMCs for more than 2 million hours, including 40,000 hours in industrial gas turbines. Jim Vartuli of GE’s CMC program said DOE support on large industrial gas turbines to get those first demonstrators gave GE confidence that the ceramics could survive high temperatures and stresses in turbines for long periods. CFCC companies brought materials they’d made to DOE national laboratories at Argonne for nondestructive evaluation and Oak Ridge for microstructural characterization and stress and oxidation tests. “This partnership highlights the value of the national labs,” More said. “We do work that is fundamental and broad to understand materials’ behaviors. We provide necessary information to help the community make decisions about where to go, how to proceed.” New knowledge about how materials degraded helped industry accelerate improvements and optimize manufacturing processes. ORNL’s Pete Tortorelli and H. T. Lin stressed materials in environmental exposure chambers to learn their points of failure. 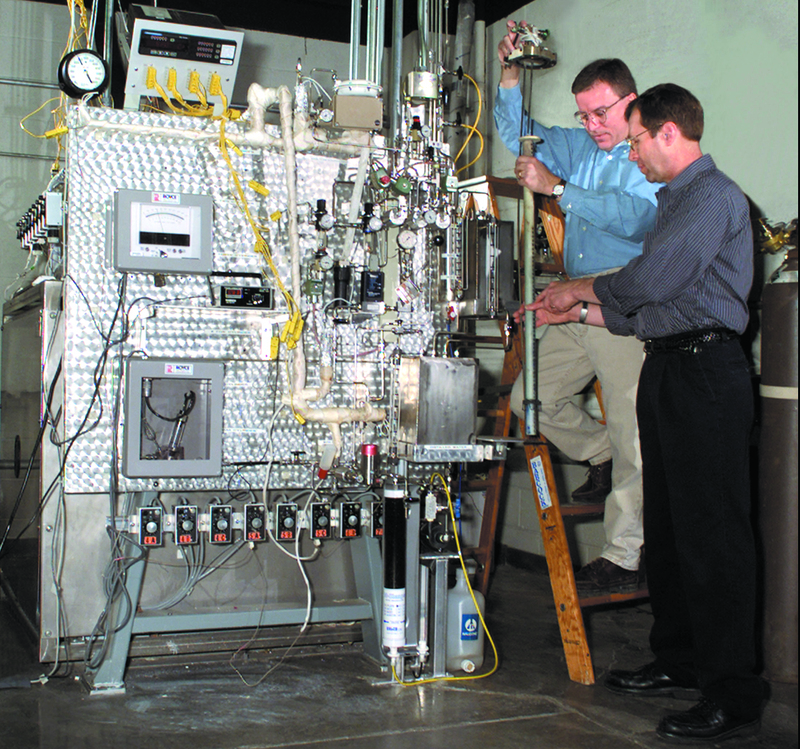 Lab colleagues Jim Keiser and Irv Federer exposed samples to corrosive gases, temperatures up to 2550 F and pressures up to 500 psi in “Keiser rigs” that simulated conditions in turbines. These were also used by More, Tortorelli and Keiser to screen protective coatings needed in combustion environments. ORNL’s early findings encouraged industry to abandon carbon as a fiber coating. Carbon oxidized, turning into carbon monoxide and carbon dioxide, and volatilized, thinning the coating. 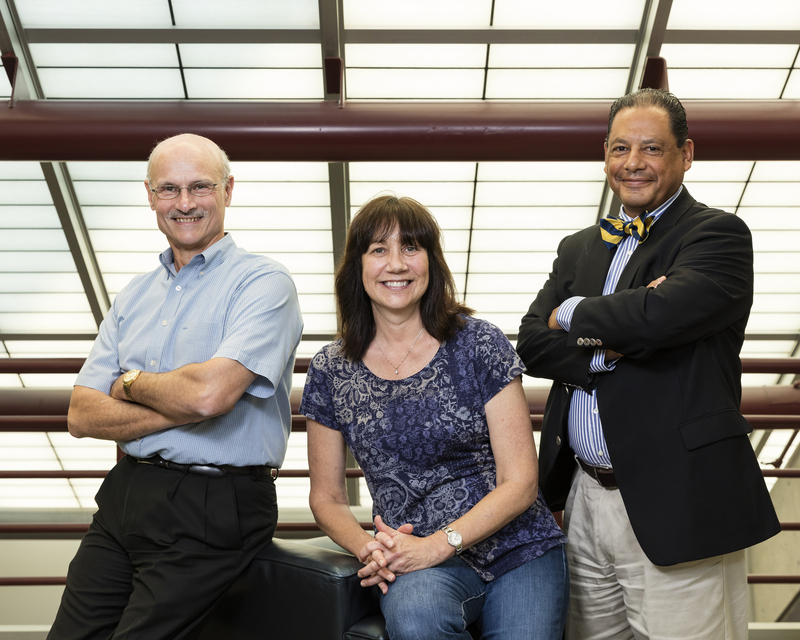 ORNL engineers recommended oxidation-resistant boron nitride instead. Moreover, Edgar Lara-Curzio modeled and tested the mechanical performance of CMC materials under different loading conditions and their resistance to fatigue, creep and rupture in ORNL’s High Temperature Materials Laboratory. In collaboration with Matt Ferber and Chun-Hway Hsueh, he implemented experimental and analytical methods to characterize the micromechanics of fiber–matrix interfaces. “These measurements were essential to quantify chemical bonding between fibers and matrix, residual stresses experienced by the fibers and friction between the fibers and the matrix during fiber sliding,” said Lara-Curzio, noting CMCs are tough mainly because interfacial coatings let fibers slide and bridge matrix cracks. He and Hsueh provided key information about how a single fiber slides in a ceramic matrix. Lara-Curzio, Ferber and Lowden then quantified the effect of the thickness of fiber coatings on sliding and discovered a value that optimized mechanical properties. Companies widely adopted this correlation to optimize their composites. “Every decade we have increased [the heat metals can take] by about 50 degrees,” Luthra noted. Today CMC material can take up to 2400 F, but Luthra would like the next generation to reach 2700 F. “This is going to be as challenging as the development of the first ceramic composite,” he said. To highlight these challenges, the U.S. Advanced Ceramics Association is creating an industry-driven roadmap for the development of 2700 F CMCs for advanced gas turbines. This roadmap will inform Congress about successes of 2400 F CMCs, encourage investment in the development of 2700 F CMCs and highlight the contributions of CMCs to the creation of high-paying U.S. manufacturing jobs, national security and the environment. USACA’s roadmap supports findings of a recent National Academy of Sciences study that concludes investment in gas turbine materials and coatings should be a high priority and that 2700 F CMCs could dramatically reduce or eliminate the need for cooling in engines, boost efficiency and lower weight. DOE national labs may once again be called upon to help discover high-performance materials and processes that can operate at higher temperatures and even more extreme environments. DOE's Advanced Manufacturing Office (AMO), formerly known as the Industrial Technologies Program, supports applied research, development and demonstration of new materials, information and processes that improve American manufacturing’s energy efficiency, as well as platform technologies for manufacturing clean energy products. AMO helped fund this research.